A Sports Car Country Club! A Country Club for motoring enthusiasts – including sports cars, race cars, and motorcycles. Established in 1996, the Ranch introduced and pioneered this new concept. Just as a golf country club centers its activities around a golf course, this club centers around a purpose-built road racing course. Two courses, actually, as a second road course has been added to the facility. Think of MotorSport Ranch as a place that its members go to satisfy that “need for speed”. 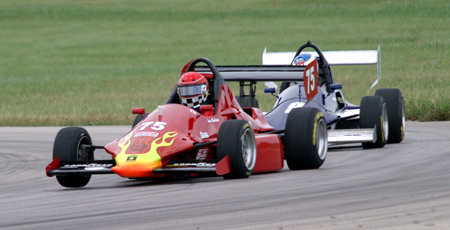 Many people own a sports or high performance car, or even a vintage race car. The Ranch is a place to explore the potential of these cars and for the drivers to develop and practice their skills. The Ranch offers convenience and accessability for its members who do are able to treat performance driving as a sport or a hobby. The facility is also home to numerous sports car related businesses catering to the enthusiasts. 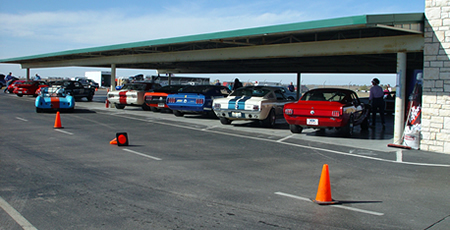 MotorSport Ranch exists primarily for the enjoyment of its members, but a limited amount of time will also be made available to car clubs for their events.